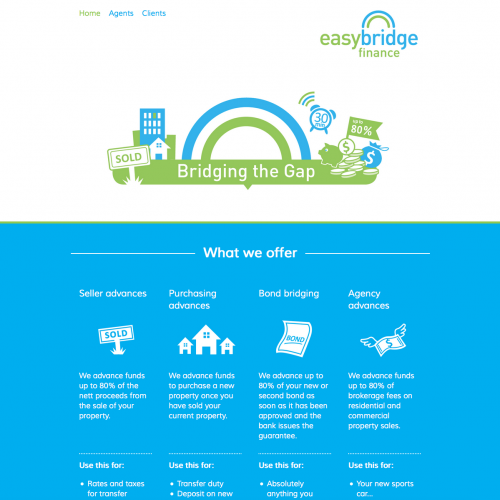 EasyBridge Finance offers the following services: Seller advances We advance funds up to 80% of the nett proceeds from the sale of your property. Purchasing advances We advance funds to purchase a new property once you have sold your current property. Bond bridging We advance up to 80% of your new or second bond as soon as it has been approved and the bank issues the guarantee. Agency advances We advance funds up to 80% of brokerage fees on residential and commercial property sales.